The Chilean documentary The City of Photographers (La Ciudad De Los Fotógrafos, 2006), directed by Sebastián Moreno, has valuable offerings on several dimensions. For one thing it provides an interesting angle on the turbulent period of the Pinochet dictatorship (1973-1990). This is a fascinating story of how ordinary citizens used their cameras as witnesses to stand up for the basic human right of expression. 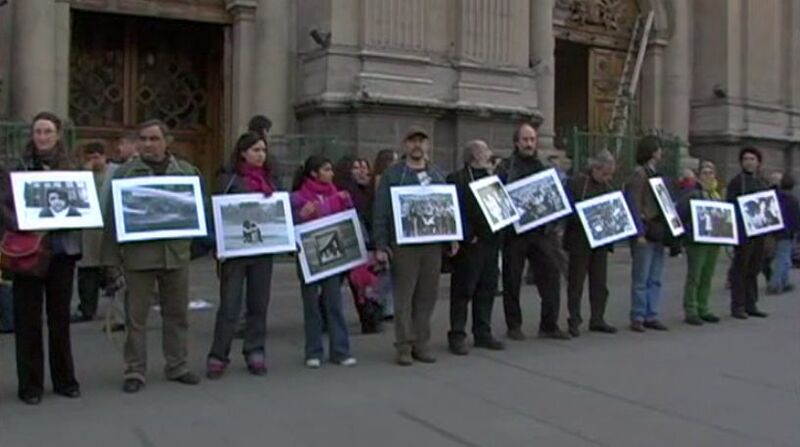 These heroic people in Santiago, Chile, stood alone, because the US government, rather than defending democratic interests, was perniciously intervening on the side of the oppressive dictatorship at the time. So on this level, the film presents material for further reflection (in the light of the "Arab Spring") concerning the somewhat ill-defined term of crowd-sourcing. But perhaps the most significant dimension of the film concerns what it reveals about the nature of narrative witnessing. What role can the witness play, and how does visual imagery play a part? After all, this documentary film is not only reflective but reflexive: it is a documentary about documentarians. 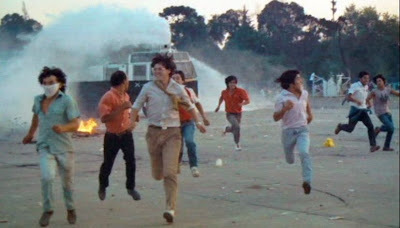 Because the film was made for Chilean audiences, for whom the gory details of the Pinochet dictatorship were all too familiar, there is little coverage in the film concerning some of those historical details. 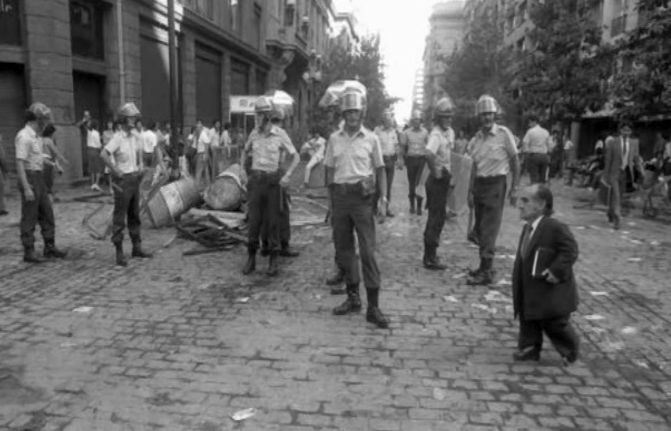 So it might be useful to recall that for all of its history prior to the Pinochet period, Chile had perhaps the strongest traditions of democratic government in South America. But given the enormous wealth and power divide between the privileged classes and the common people throughout Latin America, there were always simmering social tensions in those countries that made the option of Communism politically attractive to some sectors of society. In particular, Fidel Castro’s Cuban revolution was always a model for emulation, and the US government was determined to thwart a repeat of something like that happening again on the content. Chile, because of its vast copper reserves, was one particularly important theater in this drama. 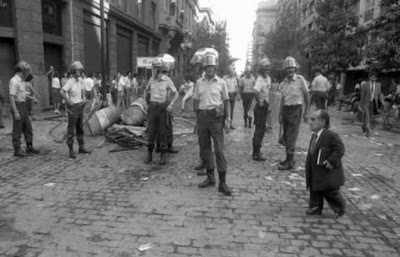 Due in part to its robust democratic institutions, Chile was a seething cauldron for this political contest, and during the 1960s there emerged a united front of leftist Chilean political parties, led by Salvador Allende, that vied for political control. The US CIA engaged in various interventionist tactics to block Allende, but in the end they were unable to prevent his coming to power in 1970 . This was a major worldwide event, because it marked the first, and perhaps only, time that a fully socialist government (i.e. fully committed to Marxist socialist principles) came to power via democratic elections. The US government then actively encouraged (although the extent to which it offered any actual material support at that point is unclear) for the military coup d’etat that installed Augusto Pinochet as dictator in 1973. Thereafter the US government actively supported the “Operation Condor” operation of right-wing South American governments, including the Pinochet regime, to suppress and terrorize all political opposition . Among the activities of this so-called “dirty war” of oppression were acts of “disappearing” political opponents: victims were first tortured to death and then vanished from sight. US citizens, even today, find it almost impossible to believe that their own government could have supported such murders and torture, so they tended to discount the evidence when presented – particularly when the evidence was not well documented and could thereby be dismissed as hearsay (which is a typical problem when dealing with secretive operations involving military intelligence). For example a few years later, former CIA operative Jesse Leaf revealed that the CIA had taught torture techniques, based on captured Nazi documents, to the SAVAK secret police of the government of Iran ruled by Shah Mohammad Reza Pahlavi [3,4,5]. Again, US citizens could not bring themselves to believe that their own people supported torture – in fact torture that was worse than waterboarding, incidentally. What did it take for US citizens finally to wake up to the realization that their government supports torture? It was graphic, pictorial evidence from the Abu Ghraib prison in Iraq that proved to be inarguable . There it was shown in pictures for all to see. This kind of visual revelation is what The City of Photographers is all about. 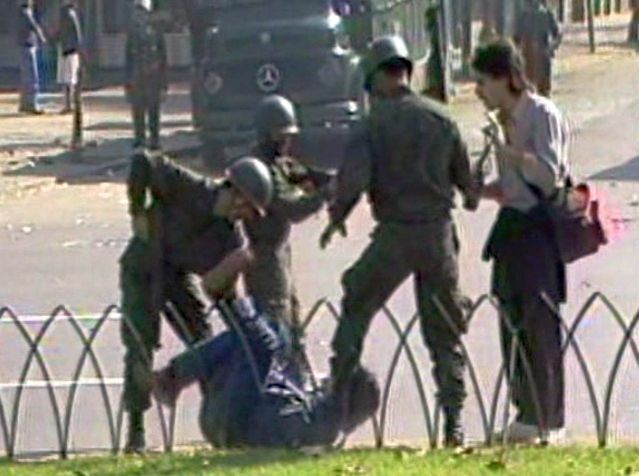 It was brave photographers merely doing their civic duty who revealed the atrocities that were being committed by the Pinochet government. This had political consequences for the evolution of Chilean society, and it serves as a general reminder for us today, too. 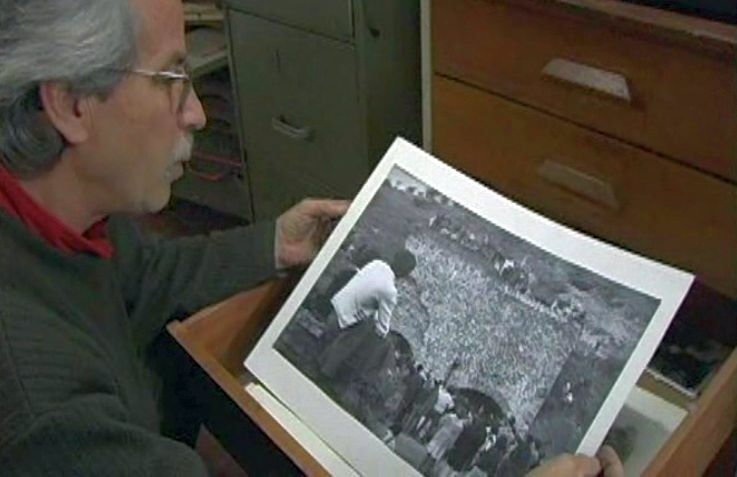 The story of these photographers essentially begins in 1978 when one of them, Luis Navarro, discovered the abandoned Lonquen mine, where he discovers the remains of fifteen laborers who had been tortured to death and buried there in 1973. They had been made to “disappear”. This photographic evidence was the first step in opening up to the world the kinds of atrocities that were being committed by the Chilean dictatorship. 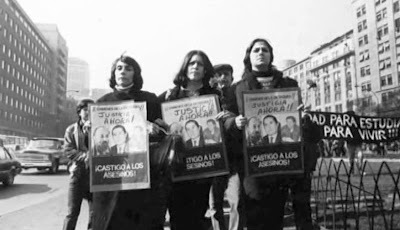 It should be remembered that not everyone in Chile was against the Pinochet dictatorship. The privileged clashes felt that Pinochet was a bulwark against Communist chaos. As long as the Chilean government could keep hidden their “dirty war” tactics, it could retain support from a significant portion of those who proceeded with business as usual. But photographic evidence is difficult to deny and can provide revelations. 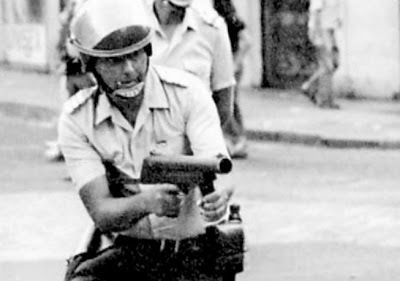 More and more photographers began to join the cause of providing documentary evidence concerning the oppressive tactics of the military police. In 1981 they formed the Independent Photographers Guild Association (AFI was the acronym in Spanish), and this provided them with accreditation as a professional body. This is very much a human story, as people describe how they joined the guild and found what became a shared mission and their personal calling. As time went on, leftist demonstrators against the regime became their friends, counting on them to record the police brutality that usually ensued when there was a demonstration. 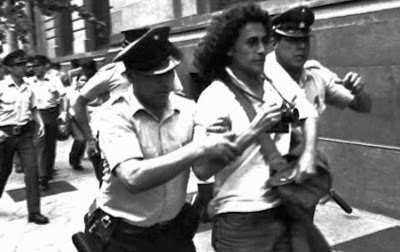 Since the political activists wanted to hold their demonstrations without the police knowing about them in advance, they would secretly inform the photographers about their upcoming events. Some of the photographers struggled with this in connection with their feelings of sympathy for the activists and at the same time their felt need to maintain a sense of reportorial objectivity. Eventually it became something of a cat-and-mouse game, with the activists, the police, and the photographers all becoming personally familiar with each other, even though they were on opposite sides of an ongoing argument. 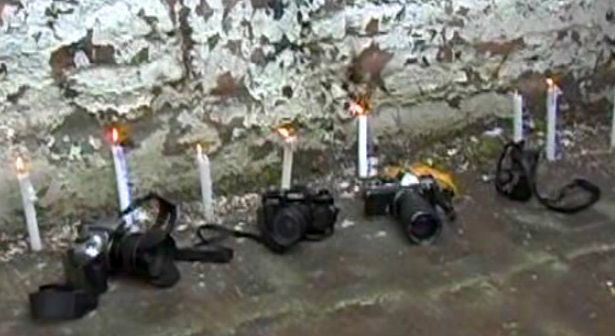 To counter the public’s growing awareness of government atrocities, the government took various measures against the photographers. For awhile they banned all images from magazines. So the journals responded by publishing issues with blank-out spaces with the word “censored” where images were intended on some pages. 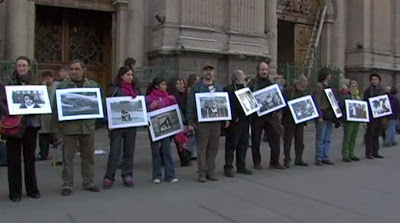 And the people began wearing enlarged prints of disappeared people’s photos around their necks on the streets, keeping the ultimate question about their whereabout constantly in the faces of the authorities. The government also tried to infiltrate the group with spies and informers, but the photographers were quick to learn how to identify the lack of genuineness of a government snitch. As the photographers continued their investigations, they would occasionally suffer beatings at the hands of the police. One of their number, Oscar Navarro, even got the nickname “Kamikaze” for his willingness to risk plunging into the midst of some dangerous encounters. 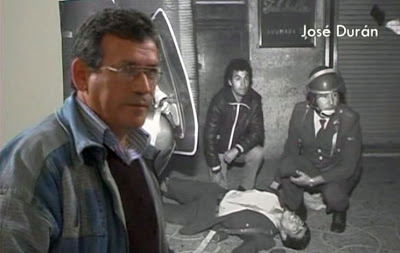 But there were more sinister things than beatings; they learned that the CNI (the Chilean internal intelligence agency) was murdering people as part of their “dirty war” activities. One of the AFI members, Rodgrigo Rojas, was an idealistic teenager who had committed himself to the AFI photojournalistic movement. While photographing one newsworthy event on the road, the military poured gasoline over him and immolated him. The surviving photographers who recollected him twenty years later still shared a sense of guilt and sadness for not having restrained the young boy from pursuing the dangerous operations in which they were engaged. The AFI photographers lost other good friends this way, too. The Chilean academic Jose Manuel Parada was a good friend of the photographers. One day the bodies of Parada and two of his academic colleagues were found dumped by the side of the road with their throats slit. In addition to such butchery, the government tried to discredit the photographers. 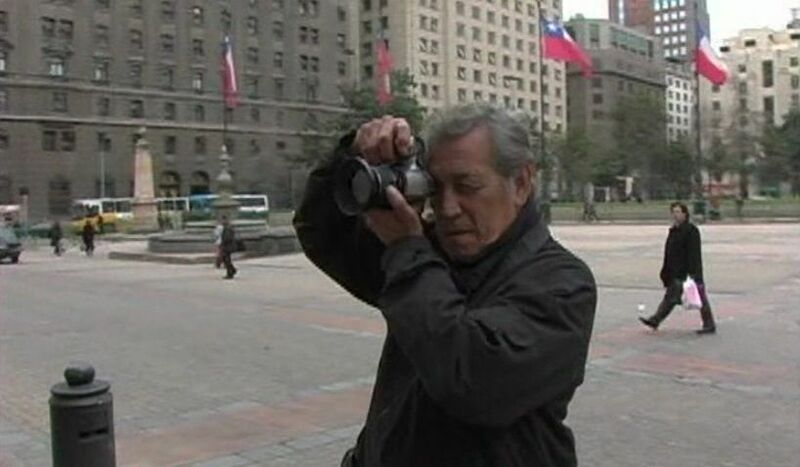 Luis Navarro was arrested while photographing Pinochet entering the government palace and held for five days. We are not informed what they did to him, but there is a suggestion that he was abused. Afterwards the government propagated a false story that Navarro had been a government informer for years. Some of the public believed the story, and it took Navarro years to recover his reputation from the slander. Over the years, the violence took its toll on many of the photographers. 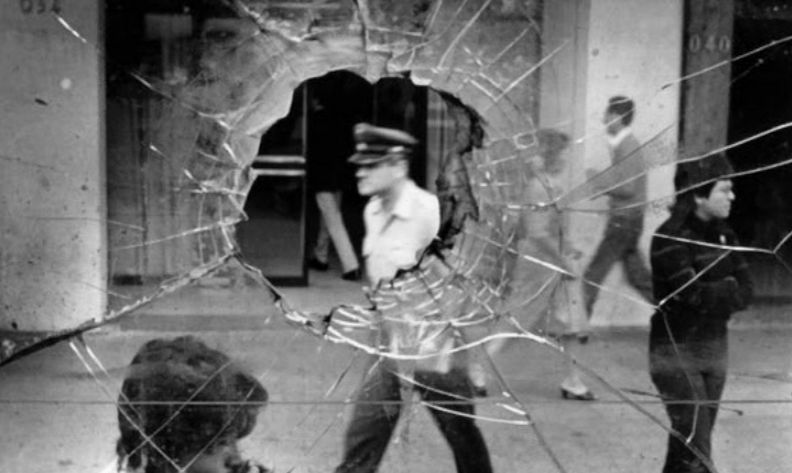 Some of them wondered if they were getting caught up in an eternal narrative of violence. They asked themselves if they were actively looking for violence, seeding the world with their own preconceptions. They wondered what was happening to their souls. Oscar Navarro is still disturbed twenty years later by the time in those days when he asked a police-beaten boy to remove his hands covering his face. When the boy did so, Navarro saw (and photographed) that the boy’s eye had been gouged out by a police baton. Navarro had earlier said that his camera was his weapon, but his sense of powerlessness on that occasion still lingers with him. But despite all the tragic occurrences, this film is still a story of triumph. These “ordinary” people (ordinary in the sense that they did not have authorized power from the establishment) had collectively stood together and used their cameras to provide a social witness. What they captured were pictures, and these pictures had a richness to them that conveyed, in way that words could never do, the horror of what they were witnessing. Such witnessing offers a lesson for the rest of us. In an age when governments and commercial organizations are using electronic media to invade our private spaces, they also often reject the people's right to record government and corporate depredations in the public space. So we need to keep in mind the distinctions between public and private spaces. People have a right to privacy; but they also have a right to free speech, i.e. public expression, in the public space. The photographers in The City of Photographers were intensely aware of the ambiguities of this process. As I see it, they often asked themselves the difficult question concerning to what extent were they capturing reality or actually making it. This is a problem that cannot be avoided. Every witness to an event, every documentarian, is also a participant. But we all do believe in a shared "reality" and a “true” (mutually agreed on) narrative description of what has happened. And the richness of visual imagery provided by photography is irrefutable. When photographic evidence is presented to the public, it is up to the public to decide what to make of it. The AFI photographers in Chile were aware of this challenge and conscientiously and humanely tried to operate within the inevitable compromising constraints entailed. From all of this we can see that there is a task set before us to which all of us interested in helping to defend and preserve democracy around the world can contribute – "we’re all this together”. This is what the AFI members of The City of Photographers have shown us. “United States intervention in Chile”, Wikipedia, http://en.wikipedia.org/wiki/Intervention_in_Chile, accessed 25 April 2013. “Operation Condor”, Wikipedia, http://en.wikipedia.org/wiki/Operation_Condor, accessed 25 April 2013. Seymour M. Hersh, “Ex-Analyst Says C.I.A. Rejected Warning on Shah; Shah Was a Source for C.I.A.”, The New York Times, 7 January 1979. Alexander Cockburn & James Ridgeway, “The Shah and the Hot-Egg Tango”, The Village Voice (“The Moving Target” column), 4 December 1978. A. J. Langguth, “Torture’s Teachers”, The New York Times, 11 June 1979. Scott Shane, “U.S. Engaged in Torture After 9/11, Review Concludes”, The New York Times, 16 April 2013.